Clockhouse netball squad were into their 4th Havering Cup finals day in succession. In a tough draw Clockhouse met old rivals Parsonage Farm in the semi-final. The game started with nervous errorrs from both sides, people talking more about the umpire's whistle than the contest on the court. Clockhouse trailed 3-1 at half time, captain Lily S-E with the score for Clocks. Clockhouse looked dangerous everytime they picked up the pace and scored a further two times in the 2nd half through Lily S-E and Kayleigh S, to tie the game. Parsonage Farm had the extra gear and some fumbling following a rebound gifted Parsonage the win. Clockhouse were now guaranteed a bronze medal but agreed to participate in a 3rd/4th playoff game with Newtons just to maximise playing time. Clockhouse started the game poorly and went three scores down very quickly. Clockhouse got the game back to 6-3 but the slow start cost the team in the end. Mr Yarrow said 'It's no secret that netball is one of the school's strongest sports but sadly we did not play to our best today. The netball squad have been very successful this year and were unlucky to loose our semi-final. Congratulations to eventual winners Parsonage Farm, I look forward to renewing our rivalry next year. This is likely to be the last competitive fixtures for this team this year and for some in their primary school journeys. It has been a pleasure working with you all and sorry we could not finish top of the pile. Special mention as always to our amazing supporters! I want to finish by saying how incredible the journey has been for two of our netballers in particular. Hayden M and captain Lily S-E started representing the school when they were Year 3 children. Both had different journeys but have done the school proud every time they have been on the court as have all of our players this school year. SCORERS: Lily S-E x 5 & Kayleigh S x 1. Clockhouse claim Collier Row derby win! Tonight Clockhouse travelled to local neighbours Parklands for a netball fixture. Clockhouse took a big squad with dual motives. Firstly, preparation for the Borough Finals Day and secondly a Year 4 / 5 squad to start building for the future. Parklands were fired up for the game and made it very hard for the Clockhouse side to break through. It took quick play from captain Lily S-E coming out of the circle to feed shooter Mia C to open the scoring. Despite not being able to get onto the scoreboard until the end of the first quarter Parklands were very tenacious in defence. Meaning Clocks only had a 3-1 lead at the end of the openning quarter. The side changed for the second quarter and Clockhouse went back to business. Parklands were growing in confidence and the more they pushed forward the more chances there were for Clockhouse to play on the counter attack. If anything Clockhouse were guilty of trying to play too quickly. Harry H battled with the Parklands center in a fascinating contest while Kayleigh S and Taylor H battled hard defensively. At the half way point Clockhouse led 4-3. In the third quarter Clockhouse led from the back. Brooke A and Hayden M pushing forward to free up attackers to move around the court. Kayleigh S adding to the Clockhouse lead. Parklands brought the came back tight in the final quarter dominating the rebound game in the circle. But Clockhouse showed their determination to hold on for victory. Mr Yarrow said 'Credit to Parklands they got stronger and stronger as the game went on and are definitely a solid side. Tonight was a good chance to blow the cobwebs out before finals day on the 1st April. We have a lot of practice to do before meeting old rivals Parsonage Farm. But looking at the positives it was great to see so many Year 4 / 5's preparing for next year. The pupils that played today and others that are working hard at club make me feel confident for another positive year! Today was a gritty performance but it was all about playing what was in front of you, the fact the netballers remain undefeated is a great achievement considering how tight the game finished up. 2nd Quarter-Final success in a week! On Friday evening the Clockhouse netball team visited Hylands for the netball cup quarter-final. Clockhouse arrived very confident and if anything probably underestimated their opponents. The game remained scoreless for the opening five minutes of the game following some real sloppy Clockhouse distribution. Lily S-E openned the scoring for Clockhouse once the tempo was controlled. The first third of a physical sloppy contest finished 2-1 to Clockhouse, Mia C also on the scoresheet. The 2nd third was much of the same for Clockhouse, messy uncharacteristic play allowing Hylands the better of the exhanges. The boys on the Hylands team really dictating the game. A great battle was comencing between John O and the Hylands goal attack. The game was swinging in Hylands favour as they gained momentum and finished the 2nd third at 4-4. Clocks were a little self-critical at the break but this seemed to inspire the team for the final third as Clockhouse played one of their best periods of the year, scoring three unanswered scores. But the real story of the final third was the determination to win the ball back if it was lost. John O gaining the upper hand on his opposite player and then Holly W, Ruby N and Max N working hard without the ball to get into space and find the Clockhouse shooters. Hylands had no plan B and Brooke A and John O controlled the aerial attack from the opposition. Mr Yarrow looked back at the victory saying 'I think we would all agree the team did not start well tonight. The team were maybe slightly guilty of underestimating Hylands who seriously brought it to us. They physically commanded areas of the contest especially with the rebounds and you can see how they made the quarter-finals. However, one of the most impressive things about this squad is their ability to up the workrate and change a game. The final third was a pleasure to watch and showed exactly how much potential we have! Thanks again to the parents for transporting children. Clockhouse have made two cup semi-finals in a week with the potential for the boys football team to make it three out of three next week. All children involved in extracurricular clubs are really making an impact as the sports teams push on into the later rounds of cup competitions. In preparation for the upcoming Borough Cup quarter final Clockhouse visited St Peters (Brentwood) for a warm up fixture. It has been a while since Clockhouse took to the court so you would be excussed for thinking that the team might take a while to get going. But Clockhouse showed no rust in their performance. Mia C scoring early to get Clockhouse off to a fast start. Defensively Clockhouse looked to close St Peters out Brooke A, Hayden M and John O marshalling the defensive third of the court. In attack Clockhouse looked free flowing and worked hard to get the ball as close as possible before shooting. Mia C, Lily S-E and Hayden M benefiting from some fantastic build up play moving the ball up and down the court. Following the fixture Mr Yarrow said 'St Peters (Brentwood) are always a tricky side to play against they are technically very strong. But if Clocks can play how we did today in the quarter final on the first Friday back we will sail into the semi-final. I was really impressed today how the team moved the ball from defence to attack & worked hard to get into shooting positions. SCORERS: Mia C x 6, Lily S-E x 8 and Hayden M x 2. An UNDEFEATED term of fixtures following latest netball success! Last week Clockhouse travelled to La Salette Primary School in Rainham to conclude the Clockhouse fixtures in 2018. Despite some horrible weather Clockhouse took to the court and started in a uncharacteristicly sloppy way. La Salette had the height advantage and Clocks continually looked for the challenging ball over the top that was not always on. Despite this Clockhouse were still able to take a 3-2 lead into the second quarter. Clockhouse changed things about in the next quarter and the ball was on the move again. Harry H linking up on numerous occasions with Ben C to give Clockhouse a cussion at half time scoring four unanswered scores. After half time Clockhouse looked more composed in defence and more clinical when picking the correct pass. Clockhouse scored another three times while La Salette were kept out despite trying hard to get the ball in the shooting circle. The final quarter saw Clockhouse confirm the victory with a further four scores while again keeping La Salette scoreless. Mr Yarrow looked back on the game saying 'Firstly thank you to Mrs Adams for umpiring. La Salette started well and were proving we still have areas to work on. But that being said I think it goes to show our attitude and determination when we were made to work in the openning quarter and we then go on to not concede and further scores. Our strength in depth / number of children that have represented the school in recent games is a real credit to school sport! 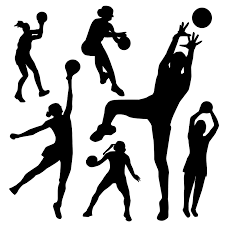 Looking past the very successful netball performances for a moment we have also played boys football, girls football, and tag rugby fixtures this term and since we came back in September we have not lost a sports fixture. This is a monumental achievement for the school and it is thanks to the hard work of all the children that have represented the school and also those that have been regularly coming to clubs. Competition for places in all sports is healthy and so many Clockhouse children are making massive contributions. It's been an amazing term!!! SQUAD: Brooke A, Hayden M, Holly W, Max N, Poppy A, Lily S-E (c), Mia C, Ella P, Frankie R, Harry H, Emily G, Kayleigh S, Ben C and Jamie S.
SCORERS: Lily S-E x 3, Mia C x 3, Ben C x 5 and Kayleigh S x 3. 22 Commited Clockhouse netballers have netball fun! Clockhouse took 22 children to Squirrels Heath for a netball fixture. The game was played in thirds. Clocks obviously weren't feeling the cold as they came flying out the blocks with 13 unanswered scores in the first third. The movement in attack to loose markers looked sharp and the effort to defend from the attacking third was ruthless. In the second third Clockhouse kept their feet on the gas and found the hoop a further 9 times. Squirrels Heath tried to attack but the work rate and pace from Clockhouse with and without the ball would of been hard for anyone to deal with. In the final third Clockhouse netted another 3 times. But Squirells Heath had a never say die attitude playing throught with smiles on their faces. One of the biggest cheers of the evening was when the Squirrels Heath Goal Attack scored to get the home side onto the board. After the game Mr Yarrow said 'Tonight's game has been one of my favourite in all my time at Clockhouse! To have 22 children representing the school across 3 year groups I think is a huge success and a credit to just how strong this brilliant school is in the sporting environment. It was great to see so many children on both sides smiling and enjoying playing sport! Credit to our hosts who did not give up all the way until the end! Tonight we had many nervous children making their first appearance in a sports fixture for Clockhouse and what was great was to see those nerves evolve into smiles as they began playing. The result is fantastic but what excites me more is how great all the players looked on the court! The children were ruthless taking every chance in attack whilst hard allowing the oppostion into our third in defence. Clocks retain Havering Netball League North title! Yesterday Clockhouse took part in the new format netball league. As defending champions the team always set themselves high expectations. Despite the change in weather the team wanted to get out early and get moving. Clockhouse dominated the afternoon really making a statement to other schools in the borough. First up Clockhouse met Mawney. Despite the shooters taking a while to get their eye in Clockhouse had full control of territory and possession. As the shooters began scoring Clockhouse had a steady flow of success winning their first league game in emphatic style. Next up was Clocks toughest test of the afternoon, St Albans. The opposition moved at a frantic pace but Clockhouse technically picked their opponents apart with some precise passing and great movement off the ball. At full time Clockhouse successfully kept their 2nd opponent scoreless. Finally Clockhouse played St Peters knowing a win guaranteed them a fourth league title in succession. Clockhouse were in a ruthless mood and showed a hunger for success limiting the amount of time St Peters had possession of the ball for. When the final whistle blew Clocks had recorded their highest score of the day and secured the 2018 Havering North League Title. Mr Yarrow said 'In previous years Clockhouse have been known as a strong netball school and every year when we loose our senior players to secondary school I can not help but worry. Once again the Clockhouse children have stepped up and filled the big shoes they had to fill. I think a lot of this continued stem of amazing players comes from the hard work Mrs Hickman puts in with the younger netball children and sometimes it goes unnoticed so I just wanted to say a personal thank you. I am really looking forward to playing a game in November where we will take 3 teams to Squirrels Heath and really show our strength in depth! I must also thank Miss Ettridge for her umpiring and general game knowledge that really gives the squad a greater netball understanding. Also thank you to our, as always, loyal supportive parents! The 2018-2019 fixtures start in style! Clockhouse played our first sports fixture of the year as they visited Scotts Primary for a netball fixture. Clockhouse have had good games with Scotts in previous years and this was to be another great contest. The opening exchanges were very nervy with both teams trying to find their feet. Scotts settled the quicker of the two sides and got a 3 goal lead. As we entered the third period Clockhouse were still not on the scoreboard but then something just clicked and Clockhouse were back level within two minutes. Mia C scoring twice and captain Lily S-E also finding the net. Clockhouse now had a buzz about their game and a Ben C double ensured that Clockhouse had a lead going into the later stages of the contest. Solid defensive performances from Brooke A, Kayleigh S, Hayden M and John O limited Scotts to just the one score. The game finished in fine style Scotts finding the net another 3 times but Clockhouse showing their raw potential. Lily S-E scoring another 4 while Mia C scored her hat trick and Hayden M chipped in at the end for the icing on the cake. Mr Yarrow said 'looking back at that game it showed great Clockhouse spirit to keep our heads high and come back from being three down. It was great to see the potential once we started to get into our flow. Without dount their is stuff to work on at netball club but this was a positive start. There were a lot of debuts Poppy A grew into the game the more she played. I also thought the twins linked up really well. Thank you for all the supporters who came to watch and thanks to a strong Scotts side for their hospitality. SQUAD: Brooke A, Hayden M, Frankie R, Max N, Ruby N, Lily S-E (c), Holly W, Kayleigh S, John O, Poppy A, Mia C, & Ben C.
Clockhouse new look netball team kick off the sporting year! Last week Clockhouse took a very new look side to the Haverigh High 5 Netball Competition. Despite loosing some amazing players last year new faces stepped in and looked very natural. Clockhouse played La Salette in first game winning 1 - 0, Max N with the score. Next up was Nelmes. Clockhouse looked settled and won with a convincing 3 - 0 scoreline. Captain Lily S-E with the hattrick of scores. Clockhouse were then up against Scotts. Two scores from Hayden M gave Clocks another flawless victory. The penultimate group game was against St Patrick's. This game ended scoresless, sadly time ran out with Clockhouse dominating the contest. Last up for Clockhouse was Parklands. The dominating performances continued as Max N scored twice to ensure Clockhouse topped the group in emphatic style without conceding a single score. In the knock out stages Clockhouse met Ardleigh Green. Clockhouse showed some real class to brush Ardleigh Green aside winning 3 - 0. Ruby N with 2 scores and Hayden M with 1. In a copy of last years final Clocks met Parsonage Farm. It was a tough rotation for Clockhouse with some strong performers missing from the starting line up. Despite that Clockhouse put in a real performance sadly loosing 2 - 1. Lily S-E scoring the Clockhouse consolation. Last Wednesday Clockhouse went to the Netball Havering Cup Final as defending champions. Marshalls Park was the venue for a great afternoon of netball where Clockhouse met Oakfields Montessori. Despite coming in as favourites on paper Oakfields came out the blocks firing and before Clockhouse were in the game they were already chasing a 5-0 deficit. Clockhouse who were not at their normal pace and fluency really struggled with the movement and tactical organisation of the Oakfield netballers. After half time Clockhouse looked to be back on their game Ruby N making a big impact from the bench. As Clockhouse clicked they started to chase the game showing just why they were in the final for the third year in succession. As the game entered the final quarter Oakfields had a 13-6 lead but Clocks saved some of their best netball of the year for the final 8 minutes in the sporting calendar. The urgency to move the ball from one end of the court to the other in such a precise way was incredible to watch. Every Oakfields attack way nullified and Clockhouse then hit back on the scoreboard. As the final whistle blew it was heartbreak for Clockhouse who lost narrowly. Reflecting on the game Mr Yarrow said 'I am gutted for the squad tonight they came into the competition this years as champions and throughout every stage of competition they have conducted themselves as champions! Tonight wasn't our night we didn't switch on at the start and left too much to chase. Borough Champions ease through to quarter finals! Defending champions Clockhouse were back to business yesterday as they took two teams to Scotts Primary School. One game was a cup game, the other a friendly. The cup game was up first and the champions meant business. In a flying opening three minutes Clockhouse were 7-0 ahead. Ruthless play in the attacking third meant that Clockhouse had the chance to experiment with positions. This will be good practice for next week's Hi 5 Competition. Sadly for Scotts the scoring did not stop there, as the free flowing Clockhouse game play was allowing Clockhouse shooting opportunities throughout the last three quarters. Credit to Scotts who played with a smile on their faces throughout. Despite the score the game was played in great spirits! Clockhouse really were flawless in their performance. The attack throughout was brutal but credit must also go to the defence who limited the Scotts possession and turned the ball over frequently. Clockhouse advance to the quarter finals. In our 2nd game of the evening Clockhouse fielded a completely different side and again played against Scotts. Clockhouse took a little while finding their feet but as the game went on the squad grew in confidence. In defence Grace D, Layla S and Darci L did well to sniff out any attacks from a frantic Scottts front two. At the other end of the court Ruby N was linking up nicely with the shooters. Katie G giving Clockhouse the lead. As the game entered the 2nd quarter Clockhouse continued to grow in confidence and began to open up the Scotts defence with some expansive play. Ben C scoring before Katie G got her 2nd to give Clockhouse a 3 - 0 lead at the half. In the final two quarters Clockhouse pressed home their advantage, defensively limiting Scotts attacking play whilst moving into space to create shooting chances. Katie G added another three baskets to her impressive tally while Ruby N also got on the scoreboard. Clockhouse Netball Team were once again invited to the Surrey Storm London Live netball tournament. The tournament is invitational so the calibre of schools / players on show was very high. Clockhouse opened up their group stage with a 8-2 victory against Chepstow House. Clockhouse then met Colfe's and an enthralling game finished in a narrow defeat 6-4. In the final game of the group stage Clockhouse played a strong Queen' s Prep school. Clockhouse put in a great performance scoring frequently but loosing 12-6. Despite loosing two group games the squad were playing some fantastic netball against the country's finest. Clockhouse qualified for the plate competition where they would meet Colfe's school again. A sloppy game finished with Clockhouse earning a 3-1 victory, booking their place in the plate final. Clockhouse met Channing School in the plate final. In what has sadly become Clockhouse fashion, the final was a nailbiter. The game was end to end with Clockhouse consistently having a one goal advantage and then the Channing goal shooter answering back. As the game went into extra time the Channing goal shooter capitalised from a Clockhouse infringement to score the winning basket. Clockhouse loosing the final narrowly in extra time 7-6. Mr Yarrow said 'The standard on show today was incredible. To be personally invited to a national tournament due to the standard of our netball is fantastic. Today was really useful, the squad had to look at plan B & play at a level that they wouldn't normally have to. To earn three victories at this standard is a credit to the school. Scorers: Lily S-E x 18, Sophie L x 8, & Grace D.
Clockhouse travelled out of the borough yesterday to play St Peter's (South Weald). Clockhouse and St Peter's are two very good netball schools and the chance to play against children from outside the borough is so worthwhile. The first quarter was a close affair finishing 3-2 to Clockhouse. As the game went into the second quarter Clockhouse looked sharp in defence limiting St Peter's attacking opportunities. With ball in hand Clockhouse picked up the speed and exploded into life. Debutant Grace D finding an eye for the net. At half time Clockhouse had scored an additional 4 baskets and kept St Peter's out. In the secind half of the game Clockhouse had clicked and looked ruthless in both attack and defence with the only criticism being that the team was occasionally playing too fast and incurring foot work penalities. That being said Clockhouse went on to score 8 further baskets while St Peter's were limited to just the 1 score. Scorers: Sophie L x 2, Lily S-E x 6, & Grace D x 7. Tonight in atrocious weather conditions Clockhouse visited Crownfield with the winner advancing through the pool stages of the Havering League Competition. Despite the cold weather Clockhouse were on fire and Crownfield really struggled to get possession of the ball. Lily S-E had an eye for the goal. Scoring 3 goals in quick succession to give Clockhouse a lead that would set the tone for the rest of the game. Sophie L linked up well with Bobby I as she also found the net. Despite not having much to do in defence captain Beth C marshalled her troops well and the organisation of the side was pivotal in the flawless attacking play. Credit must also go to debutant Grace D & to Ruby N who is still learning the game. Both looked like they had played for years. Clockhouse took their 7-a-side netball form into the Havering 5-a-side competition this afternoon. As Clockhouse entered the knock out stages they were still to look like conceding. In the quarter final Clockhouse met a strong Upminster team. Despite their ability, Clockhouse dissected Upminster winning 5-0 again. In the semi-final Clockhouse met Gidea Park College once again. But yet again Clockhouse looked untouchable winning 2-0. Clockhouse now met old foes Parsonage Farm in the final. Clockhouse and Parsonage Farm have dominated the Borough netball sceene in previous years. In another fantastic final that really highlighted the calibre of players that are partaking in netball in primary schools, Clockhouse conceded their first score in the whole competition and unfortunatley that was to be decisive with Parsonage Farm winning the final. After the competition Mr Yarrow said 'Its been a great day of netball. The children have done me and the school proud! I couldn't have asked for more from them today. Credit to Parsonage Farm on the victory it's always a pleasure to play them and I'm sure in the next final it will be our turn to win. There are so many positives to take out of today for example keeping the opposition at bay not conceding until the final game and the amount of children that really improved their shooting through out the day, that being said it also gives us a couple of things that we can work on to make it even better, I'd like to see a varied passing game. 5-a-side is not our preferred format of the game but you wouldn't believe that considering how well we played. SQUAD: Rachel C, Charlie B, Lily S-E, Bobby I, Sophie L, Beth C (c), Kayleigh M.
Clocks gather momentum ahead of Borough Competition! Clockhouse travelled outside the borough tonight to play St Peter's of Brentwood. This has become a regular in the sports calender, St Peter's always providing Clockhouse with a challenge regardless of which sport we are playing. A confident start despite not being flat out resulted in Clockhouse taking an early lead with Goal Shooter Lily S-E in impressive form. St Peter's played very well defensively and the Clockhouse game plan needed to be adapted mixing up the passing and running lines. Hayden M working hard off the ball created more chances for Clockhouse to extend their lead. In the third quarter St Peter's made a bit of a comeback threatening the Clockhouse third of the court. But some important interceptions from Rachel C and Charlie B proved vital to keeping Clockhouse in the lead. With the final quarter to play Mr Yarrow asked the team to pick up the tempo of the game to ensure victory. Bobby I showed his conditioning, working hard from one end of the court to the other providing many timely passes and fighting tirelessly to regain possesion. Clockhouse made it 2 netball wins from 2 leading into tomorrow's Hi 5 Borough Tournament. Fingers crossed for another fantastic day of netball for Clockhouse Primary School! SQUAD: Beth C (c), Charlie B, Kayleigh M, Bobby I, Rachel C, Sophie L, Lilly S-E, & Hayden M.
PLAYER OF THE MATCH: Very close decision - Hayden M had a great game but the opposition chose Bobby I. Well done all! Borough Champions begin with emphatic victory! In the schools first match since winning the Havering Borough Cup there was possibly a pressure of living up to the title. The Clockhouse team travelled to Suttons Primary School, who we drew 3 - 3 with last year. In a flawless performance Clockhouse walked away with a 16 - 0 victory limiting Suttons to just 2 shots in the whole game. Suttons did not give up from start to finish, but the Clockhouse game tempo was hard to live with. Players made debuts, and some of the returning squad tried new positions. Scorers on the day were Sophie L x 6, Lily S-E x 5, Hayden M x 2, Kayleigh M x 2 and Ben C.
Clockhouse are next in netball action on Tuesday evening.